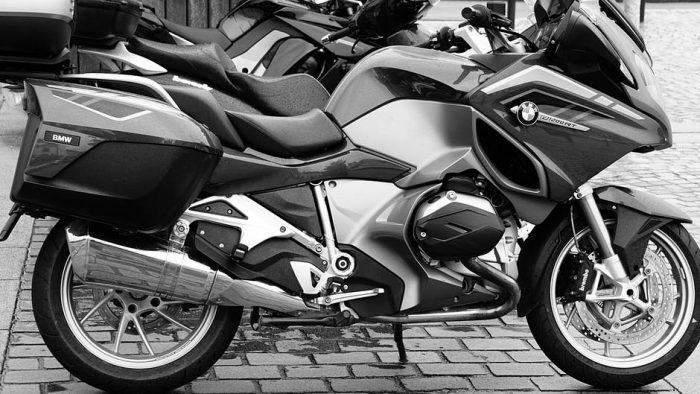 When it comes to choosing a first motorcycle many different options are available for consideration in matching up to your individual needs and wants. It centers around personal preference so much, that really no one can tell you one particular choice is best for you, but good insight can be gained by listening to what experienced riders have to say about what makes different classes or styles of motorcycles a strong contender. For some people, performance is the top priority and everything takes a back seat to it. Others, are looking primarily to achieve a specific look in order to feel happy with their choice and so styling may come first. Comfort can be another primary consideration for others in picking their first set of wheels. The hardest to please are those wanting the best of all three factors and something unusual (but this article will help). It may be that you never deviate from one particular style of bike your whole riding career, but I think generally most riders start with one and move through the others eventually. So, there’s no real need to stress too much as your first likely won’t be your last. You’re not married to your choice (so to speak) since a bike can easily be sold if you aren’t head over heels in love after the honeymoon is over. My Dad explained to me the closest to ideal a rider can have is 3 or 4 bikes at once. That way all the styles of riding are covered and your current mood can be accommodated. If you can do that, you’re going to be the envy of nearly everyone, except maybe Jay Leno who has an insane collection of bikes and cars. I’ll walk through an analysis of the main classes of motorcycles found on the market pointing out different pros and cons to illustrate some of the differences. Sport style motorcycles emphasize performance first at the expense of rider and passenger comfort. Examples would be the Kawasaki ZX10R Ninja, Yamaha R1, BMW S1000RR, Ducati 1299 Panigale or in the beginner category the Kawasaki 300 Ninja, Suzuki GSX250R and Yamaha R3. The seat height is generally quite high so the rider will be nearly laying their stomach and chest on the fuel tank. The handlebars are set low, very nearly in line with the seat. The result is the rider tucked behind a small fairing in order to stay aerodynamic and inhibit wind resistance from affecting performance. The high seat is there with the idea of the rider leaning out far to help make sharp turns like they do in motorcycle racing. Riders will typically also have to lift their chin up a bit in order to look straight ahead. This often leads to complaints about neck, back and wrist discomfort over longer rides. Sport bikes are always equipped with excellent brakes, stiff racing suspensions and often other technology related to enhancing the ride like ABS, steering dampers and selectable performance modes for track or street. These features combine to make the most thrilling ride a motorcycling can offer. The ultra high performance capability can make you feel like a God among men while astride a wailing sport bike. It really is like capturing “lightning in a bottle”. If getting into racing is on your list of wants, then a sport bike can easily be taken on the track right from factory to begin learning with. If you get really serious you’ll need a purpose built racing bike as your skills improve. Most sport bike engines are inline 4 cylinders which build high horsepower – sometimes abruptly – at around 5,000 – 7,000 RPM (depending on the engine). There are also 3 cylinder inline sport bike engines and V designed 2 and 4 cylinder options. The smaller displacement engines which beginners will appropriately choose are typically 2 or 4 cylinder inline engine, which can be found lacking in torque and so easier to stall at low RPM making them feel a bit weak until the revs come up. This is the closest feeling you’ll get to flying without being in an airplane due to the seating position, agility, and power found in sport bikes. Very exciting machines to ride! The responsiveness and power being what it is can make riders overconfident leading them to push past their skill limit (even with smaller engines). There has to be a level of maturity and personal restraint exercised when on board these bikes in order to stay safe and avoid speeding tickets. They are designed after race bikes and so that’s what they are made to do: go fast. Essentially this is a sport bike made to be comfortable to ride. For example the Yamaha FJR1300, BMW K1200 and Kawasaki Concours. It’s difficult to name a beginner sized sport tourer to be honest. I think it’s because generally beginner bikes aren’t kept very long before riders move up to something bigger. Manufacturers design sport touring bikes with larger engine sizes and loaded with features to cater to experienced riders, making them fairly expensive to buy. They know a beginner likely wouldn’t want to spend a lot since they are new to the sport and possibly not planning on staying with it. 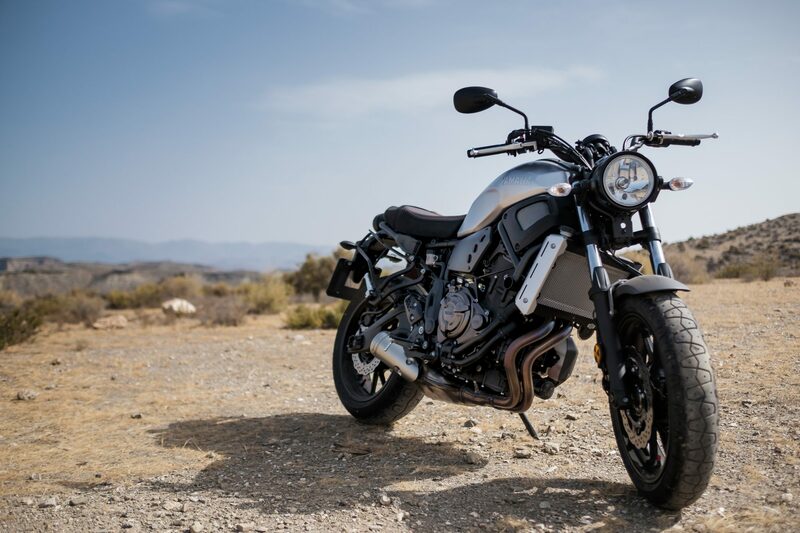 The Suzuki SV650 is one example the closest I can think of to a beginner sport tourer. Sport Touring riding positions are similar to sports ones, but the handlebars are raised up higher and the seat height lowered. The result is a more upright, sport-styled position for the rider. The windshield is often adjustable or larger/taller to block more wind but still allow for less resistance while riding. The seats are more padded and comfortable than sport bike ones are. These bikes are quite a bit heavier due to being equipped with many extra features like navigation, heated seats and grips, cruise control, traction control, and hard saddlebags for carrying gear while touring long distances. The fuel tanks are larger capacity than sport bikes so as to increase the touring range. The transmission and engine are also tuned differently. For sport touring the rider will be looking for high performance, but not necessarily to the level of a racing bike, and so the power curve is more refined- with horsepower numbers usually a bit lower to get more torque at lower rpm. These bikes still have better than average power all the same, excellent braking and are a great option for riders who want performance primarily. The original or classic style of motorcycle is the cruiser. It’s probably the most popular style of bike found on the road. 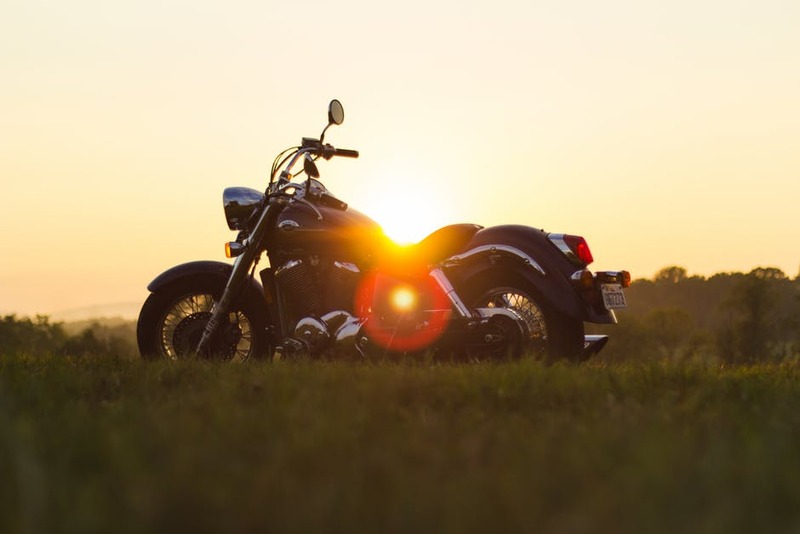 When most people hear the word motorcycle they will likely picture a cruiser, as it’s the style made famous in iconic movies like American Graffiti and by infamous biker gangs like the Hells Angels. Cruisers have upright riding positions where the handlebars sit well above the seat height and the footpegs mount down low on the frame. Often footpegs are set far forward on the frame to give the rider a neutral or very relaxed riding position, prioritizing comfort and/or style. These bikes are low to the ground, ensuring short riders can easily plant their feet flat while sitting on them. Engines are often V twins, which make powerful amounts of torque, but are more limited on horsepower unless we’re talking about the higher displacements of 1800ccs and up. This means these bikes will be quick off the line at low rpm and have a deep, throaty, growling exhaust sound synonymous with the cruiser style. The emphasis on high torque means it’s harder to stall the engine at low rpm, making it very forgiving for people learning to ride. There are cruisers with V4, inline twin, inline 4 and even 6 cylinders as well. TRIVIA MOMENT: The motorcycle with the largest factory equipped engine is a cruiser. The Triumph Rocket III has an inline 3 cylinder engine with a displacement of 2300cc. This beast dwarfs many car engines on the road and you can imagine what it’s like to ride (just based on the name). The suspension is either soft for comfort or completely rigid in the case of what is called “hardtails”. The hardtail choppers are not all that common these days though. Typically they are only found on custom or home built motorcycles. The cruiser class is where you’ll find exposed engines covered in chrome (and lots of it) coupled with fancy paint jobs and the classic motorcycle look enthusiasts love. Very flashy, brash, and in your face as far as styling and sound, everyone notices when these machines roll by. There is a kind of fraternity a rider can enter into owning this class of bike not found as much in others. Cruiser clubs are plentiful – probably because this style of bike attracts people who want to polish and showcase their “iron horse” to other enthusiasts instead of just riding it. Often large groups of riders will plan events to raise money for a worthy cause while riding from one place to another. Lots of planned stops along the way are made to socialize and wipe bug guts off chrome and paint. This isn’t to say that other classes don’t do the same kind of thing, but as I said, it’s more common among the cruiser crowd. Cruisers really are eye-catching and often other riders and nonriders alike will give your wheels a thumbs up riding by and want to come talk to you about it. There’s also a rebellious counterculture image associated with the black leather jackets and chaps adorned with steel rivets, iconic brand name emblems, images of skulls, bones, and tattooed groups of people found in the cruiser class. You don’t necessarily have to embrace this aspect, but it’s all a part of the fun in my opinion. You know you are an accountant (not an outlaw or gang member) but you get to dress up kind of like one and no one really knows for sure that you aren’t when you ride by. That mystique attracts many and is even used by some groups of riders to help support children who are bullied at school. These riders will get together and give bullied kids a ride to school, which helps them feel protected and befriended by a bunch of mean-looking investment brokers and insurance salespeople masquerading as the Sons Of Anarchy. Examples of cruisers; Harley Davidson Heritage Classic, Honda Fury, Indian Chief Dark Horse, Kawasaki Vulcan, Victory 8 Ball and Suzuki Boulevard. Many suitable beginner bikes are available in the cruiser class like the Suzuki S40 or S50. Foot pegs and exhaust can drag on the road during really aggressive cornering but usually isn’t a problem. These bikes are in essence maxed out cruisers when it comes to power and technology. They have every imaginable feature and option available for rider comfort and all the bells and whistles related to rider protection from the elements. Some of them have so many switches and buttons on the huge front fairings they resemble airplane cockpits. Premium Bluetooth stereo systems rival those found in cars, navigation, intercom systems, cup holders, USB ports, cigarette lighters and even vents in the fairings to give the rider access to cooling air flow when desired. Many have seats that can be adjusted for firmness using on board air compressors. Fuel capacity is large and the range isn’t an issue with these bikes. The engines are huge displacement V twins, inline and V6 cylinder or V4 design. All designed for maximum torque and good horsepower. That power is desirable in order to carry all the luggage needed for extended periods on the road, and these bikes are very capable of towing trailers to hold even more gear or tent trailers used for camping. Not a great class of bike to learn on unless you have lots of experience riding off road and know how to control a motorcycle well already, or are a larger, stronger person who can manhandle this much steel confidently. I would recommend working your way up to the touring bikes instead of starting with one. The rider can feel a bit disconnected from the motorcycling experience riding these bikes because they do shelter so well from the elements. Dual purpose motorcycles can be ridden on and off road successfully. They have been around for a long time, born out of riders wanting to get their off road dirt bikes from their home to the riding trails without having to load them up in their pickup truck or trailer. The suspension is excellent and has a large amount of travel to soak up off road obstacles. This works pretty well on road as well. Dual purpose tires have a more aggressive tread pattern than strictly on road tires, but stop short of the large knobs found on purely off road tires. As you would imagine they don’t work as well off road, but are passable. I would compare the effectiveness to using all season tires on your car when driving through snow. Tire manufacturers classify dual purpose tires with a number designation like 50/50 or 40/60 to illustrate the ratio of performance bias of off road to on road capability. That way if you’re going to ride on road primarily you would buy a 60/40 split leaning to the on road bias. Dual purpose bikes have a high seat height in order to accommodate the needed travel in the suspension, but the seating position is comfortable and neutral, allowing rider comfort and good control of the bike. The seats are reasonably comfortable, but because the design is rooted in the off road world, they can be uncomfortable on longer rides. Many dual purpose bikes are quite simply dirt bikes with mirrors, signal lights and a license plate holder on them. This makes them lightweight, narrow bodied, easy to ride machines for beginner and veteran riders alike. Options and features are scant on these bikes, with the fanciest ones being a fuel gauge and electric start. These are geared more towards riders who want to spend more time off road than on road. They are light, agile and usually one or two cylinder engines at most making them really good bikes for beginning riders to hone their skills on and off road. Examples would be the Honda CRF250L, Suzuki DRZ400 SM or the very popular Kawasaki KLR650 (which is still carbureted even on the 2017 model). The rationale being that a carburetor can be cleaned out easily just about anywhere if dirt gets into the fuel system, but a fuel injected system can’t as easily be repaired on a trail in the middle of nowhere with basic tooling. Dual purpose tires aren’t that great off road or on road, they’re just ok on either surface compared to strictly off road or on road ones. The second type of dual purpose motorcycle is a more recent development. The adventure class evolved from the dual purpose class. 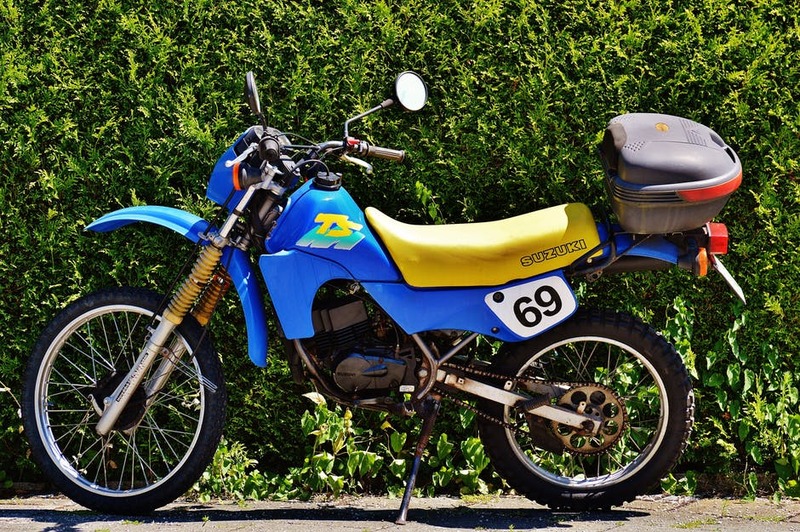 It was actually pioneered back in 1980 by BMW’s R80GS, which at the time was comparatively overweight (at 423lb) and over-engined (at 800cc) by typical dual purpose standards. It was so unusual and expensive that it really didn’t catch on in North America then, but was popular in Europe. BMW definitely was ahead of its time in creating this bike as proven later. That popularity in Europe led to a TV series called “Long Way Round” being made in 2004 by actor Ewan McGregor and his friend riding their BMW GS R1150 adventure bikes on an epic journey. They rode from London England to New York City, on the pavement and off looking for the road less traveled, covering 20,000 miles and passing through 12 countries in 115 days. LONG WAY ROUND captivated many viewers’ imagination, wanderlust, appetite for adventure and suddenly demand for large displacement, option loaded, dual purpose motorcycles with touring capability took off seemingly everywhere. These bikes are like maxed out dual purpose machines, however unlike the classic dual purpose bikes, adventure class are more at home on road than off due to their higher weight and ability to maintain highway speeds effortlessly. Adventure bikes are basically sport touring engines housed in stiff, strong frames, with near off road suspension and clearance combined with some of the most desirable touring bike features on board. It’s really quite an awesome package and easy to see why they are gaining popularity more and more. They can go off road with some success, but not as well as true dual-purpose bikes can (unless the rider is very skilled). Some models actually are more geared towards off road riding and so you should carefully look at what each model offers specifically and gauge where the bulk of your riding is going to be. I really question the wisdom in taking a nearly $30,000 BMW or Ducati adventure motorcycle into a technically challenging off road environment and risk swamping it in streams or bouncing it off rocks and trees. If you don’t mind that idea, however, it’s possible with these motorcycles. Mainly, adventure bikes are touring bikes with a couple of notable differences… while traditional touring bikes aren’t suited to traveling down logging roads or across farmers’ fields to get to a favorite fishing hole, that’s where the adventure class really shines. It’s perfect for that degree of off-roading, but I would really think twice about mud bogging with it. These machines will often have navigation, cruise control, quickly adjustable preload on suspension, heated grips, adjustable power settings to match very different terrain, ABS, large detachable panniers, and tour packs. The fuel capacity is usually HUGE to allow these bikes to go more than 200 miles without filling up. Seats are very comfortable, as is riding long distances because of the upright riding position. Perhaps not at the same level as a bona fide touring motorcycle, but close. Examples of adventure bikes include the BMW R1200 GS, Ducati Multistrada, Honda Africa Twin, Kawasaki Versys 1000, KTM 1290 Super Adventure, Triumph Tiger and the Suzuki V-Strom. 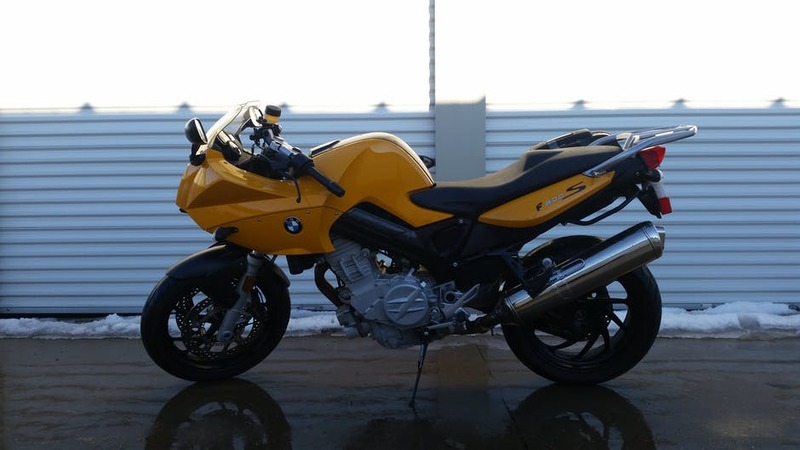 There are also smaller adventure bikes made by BMW and Kawasaki with 300cc engines and lighter weights which would be ideal for beginner riders to learn their riding skills on- as a bonus, these bikes come in at much more reasonable prices than the bigger machines. They aren’t nearly as equipped as the higher end models, but when you’re starting out, it’s prudent to keep things simple and move up to something bigger once you’re comfortable with the entry level machines. The only weak points may come from the styling which isn’t everyone’s cup of tea if you like the more traditional motorcycle physique and the fact the tires are always a slight compromise for on road riding in order to have the off road option available. If strictly on road tires are put on one of these bikes there a strong argument to be made that they are near perfection when it comes to overall motorcycle design. First off, consider what each different style or class of motorcycle has to offer you and rank them according to your preference. Next, look at what size of engine is ideal to learn on for your specific experience level. 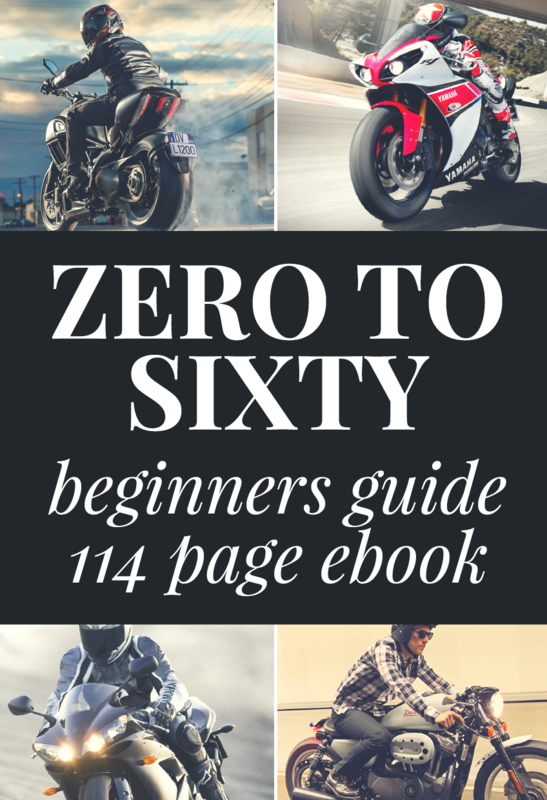 If you’re brand new to the world of two wheels, you should keep things light, small, and comfortable in order to build a solid foundation of motorcycle skills. Once you get comfortable you can always sell your learning machine to others looking to follow in your footsteps while you move up to something bigger. Don’t “overbike” yourself- I have heard more than a few people say they scared themselves out of motorcycling because of close calls brought about by too much machine. What other considerations based on your physique are important? If you’re a large, heavy rider, you can choose to go with a larger engine and bike to fit you better and give you better performance based on the power to weight ratio of the motorcycle. If you’re average sized or on the smaller side try and start with a machine which allows you to reach the ground comfortably and is light enough to ensure you won’t end up having to ask for help pushing it out of a low spot in a parking lot, or picking it up if you lay it down. If you grew up riding off road and have already mastered the technical aspects of motorcycle riding, you can likely move to a little larger engine size or class of motorcycle for your on road riding career. It’s likely you would really enjoy the Adventure or dual purpose class. With sport and adventure bikes, the average ideal engine size to start with in my opinion would be 300 to 400cc (give or take 150cc depending on your size). For cruisers with V twin engines, I would go for a 600 plus or minus 200cc for the same reasons. 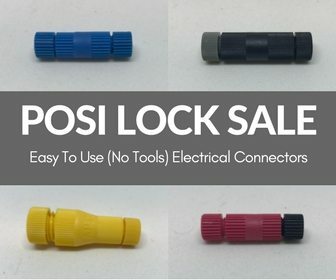 Consider buying your first bike used, since most beginners end up dropping their first bikes at some point. Doing damage to a brand new machine is heartbreaking and expensive. Used bikes usually have a few battle scars anyway and so adding your own to the collection isn’t quite as painful. To be honest, there is no PERFECT first or last bike out there. It doesn’t exist yet, because the perfect bike is one that can transform from a sport bike into a dirt bike and then into a cruiser or touring bike at the press of a button. The day someone creates that machine I will hand over my hard earned dollars right away to buy it, name it Optimus Prime, and forever be happy. For now, the best you can do is just pick one based on test rides you do, and advice others give you.